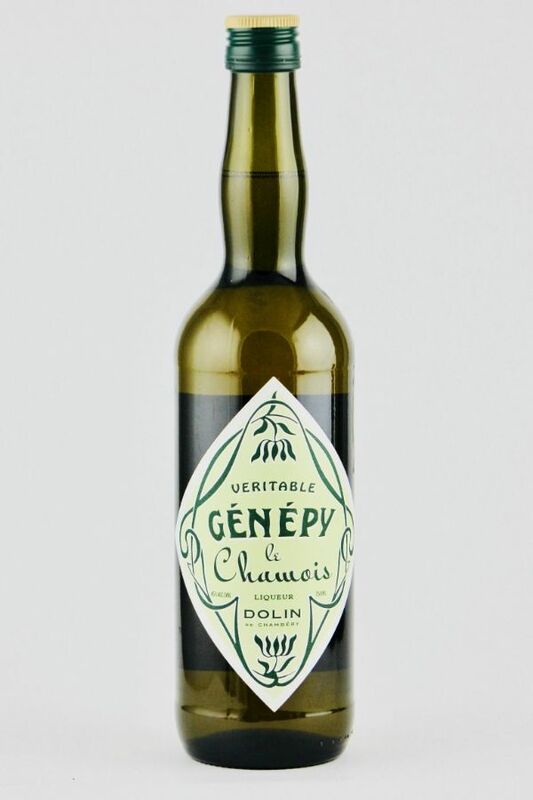 Genepy is a legendary alpine herbal liqueur, unique to the Savoy region, that dates back many hundreds of years. While comprised of a multitude of alpine herbs, the most prominent is Genepy petite and rare variety of artemesia found in the high mountains of the Savoy. Its fresh and aromatic flavors have long been associated with the mountain air and adventure. Efforts to brand this style of product have been nothing short of epic, yet in the home region there is no substitute for the local crafted product. Today it is still the darling of French ski resorts and fine dining, served on the rocks or with tonic water, and very welcome after a fondue. This Genepy recipe dates back to 1821, when Joseph Chavasse first established what is today Maison Dolin. Our house is one of the few that employs local farmers for our herbs. Our copper alembic still brings out the fresh alpine fragrances and delightful flavors.